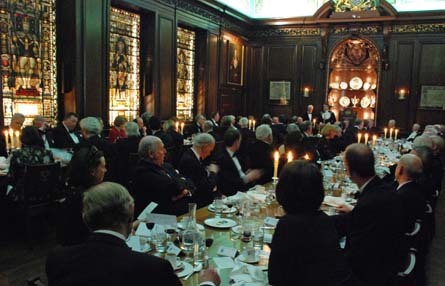 In celebration of Plough Monday, the first Monday after Epiphany, which traditionally marks the last day of the Christmas holidays before returning to work, this year’s dinner was held at Tallow Chandler’s Hall. 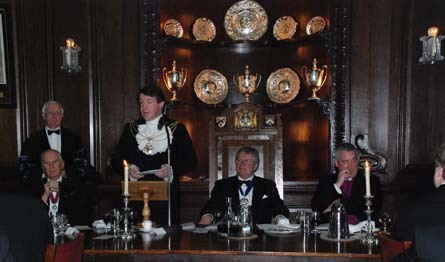 Again, following tradition, we were privileged to have the Sheriffs of the City of London as two of our principal guests. and Sheriff George Gillon were, accordingly, able to join us, as was the Rt. 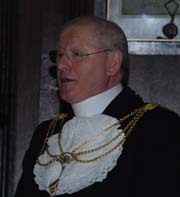 Reverend Graeme Knowles, Dean of St. Paul’s Cathedral. We were also pleased to be able to welcome many other distinguished guests, including those from the Musicians’ and Chartered Surveyors Companies. 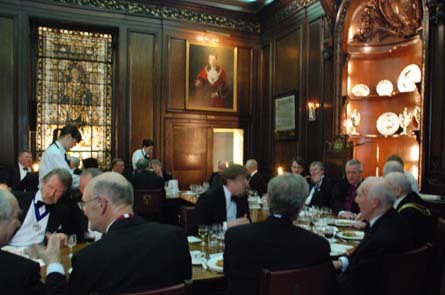 This was a most convivial evening, with excellent food and wine, a splendid venue, and most excellent company. Both Sheriffs spoke on the subject of the present global financial difficulties affecting the City, emphasising that the City has been through other troubled times during its long history, and has survived to grow stronger. 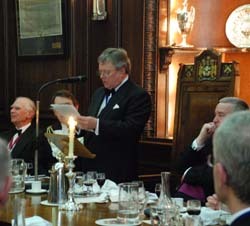 Our Chaplain, Colin Semper, proposing the toast to the Company, gave a most profound and powerful address. He touched on how, not so many years ago, the religious scenery was quite different. More recently, he has perceived the descent of much of modern society into a deep secularism, with the attendant danger of our diminishing both God and the great mysteries of God. 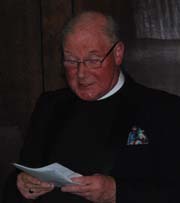 Colin has given us all something to think about, and to remember, as we turn again to the plough in 2009.